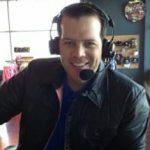 I have been writing a good, bad, and ugly following each Bills game this season, but it didn’t feel right to do that today. It is a new year after all! Of course, there were bad things about the game (not putting the Dolphins away–again), and some ugly (the overturned fumble returned TD), but making the playoffs trumped (that means good in this instance) it all. Flexing all four games that factored into the AFC playoff picture was a good idea, creating multiple screen viewing, social media maneuvering, and great suspense. I’ll admit (and even tweeted) that I thought it stretched too far, but that was because the Bills game was dragging with Dolphin stupidity and another review. It was really all about getting to the finish in the Bengals vs. Ravens game. The Bengals held a 14 point lead in the third quarter, at the roughly the same time the Bills were up 19-0 zip on the ‘Fins. A playoff trip appeared to be a lock. But this is Buffalo, and nothing is ever easy. The Ravens erased the deficit and took the lead, 27-24 about the same time the Dolphins scored another TD to make it interesting at 22-16. An interception by Jordan Poyer wrapped up the Bills win, putting the postseason at the hands of Andy Dalton, and he delivered! The beauty of the TD pass was the it was 4th and 12, needing a first down to keep the drive and tieing field goal alive. 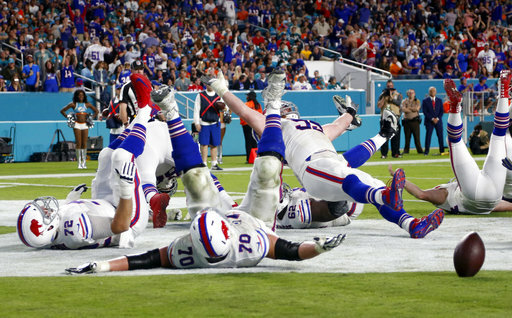 Watching Tyler Boyd juke the defender and cross the goal line was a moment of pure joy for Bills fans, and the team. No doubt you’ve seen the reactions on Twitter, and filmed your own to share. Many of you were waiting for this part, getting to where I was wrong. In my business (sports media) admitting you were wrong about a game or team is like the weatherman missing on a forecast. It doesn’t matter, especially when you’re right more often than when your wrong (nice injection of ego there). People in my business rarely admit when they’re wrong because it detracts from the next hot take. I am glad to admit I was wrong about this team, and I wasn’t alone. How many predicted this team would make the playoffs? Not many, if any. I figured on 6 wins given the rookie coach, trade of a playmaking WR, and a QB that hasn’t won many games with his arm. Guess what? None of that matters now, the Bills made it. Much will be said and written about how the Bills are not a very good playoff team, they made it through the back door, the AFC is weaker than the NFC, and they won’t go far. Some or all of it may be true, but today is not the day for that. Enjoy the moment, the magic, and memories created.